Come help raise and play with baby chicks, ducks, quails, rabbits, and other animals. It is super fun to feed the ducklings out of your hand, or wear a chicken on your head like a hat. Chickens love to perch and we have set a record with 6 chickens perching on one camper! The quails are funny little birds. They run really fast, aren’t as friendly to humans as the ducks and chickens, but make really strange noises. Campers build houses for the animals, decorate them, and make sure the nests are comfortable. We definitely encourage a plentiful use of Dr. Seuss architecture for our chicken and ducks cities. 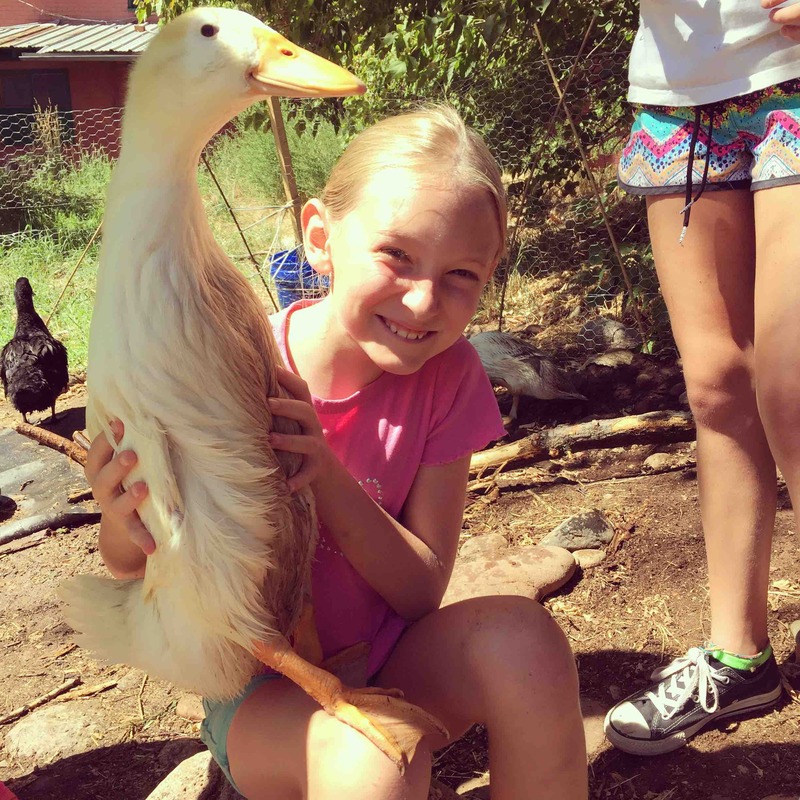 At Ajax Adventure Ranch Camp we will additionally have pigs, a goat, and other barnyard animals.